Product prices and availability are accurate as of 2019-04-11 22:21:20 UTC and are subject to change. Any price and availability information displayed on http://www.amazon.com/ at the time of purchase will apply to the purchase of this product. Look fresh and flawless. 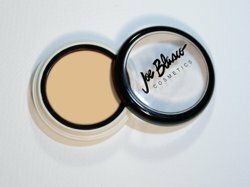 Joe Blasco Red Neutralizer 1 for light skin tones produces a natural, luminous finish while instantly neutralizing imperfections such as minor blemishes, discolorations and healed skin injuries. Find out why this product has been used by top celebrity make-up artists for years. Hypoallergenic and cruelty free, this product is recommended by dermatologists, estheticians and plastic surgeons worldwide. This natural skin tone-related product may be applied directly to the area that requires correction without the need to be mixed with a foundation base prior to application or patted over with base once applied.